This beautiful limestone fireplace installation was carried out in a property in Acton, London. Our clients were in the midst of a massive refurbishment. They needed a company to manage a fireplace installation for them. With so many decisions to be made and so much going on in the house, our clients very much appreciated the time and diligence The Billington Partnership took in finding them their perfect fireplace. The final result was an elegant Flat Victorian limestone fireplace. The Flat Victorian is a classic design that works well within both traditional and contemporary interiors. Finally, the client chose an insert gas fire to go with the limestone fire surround. This style of fireplace is one of the most popular fireplaces amongst our clients. 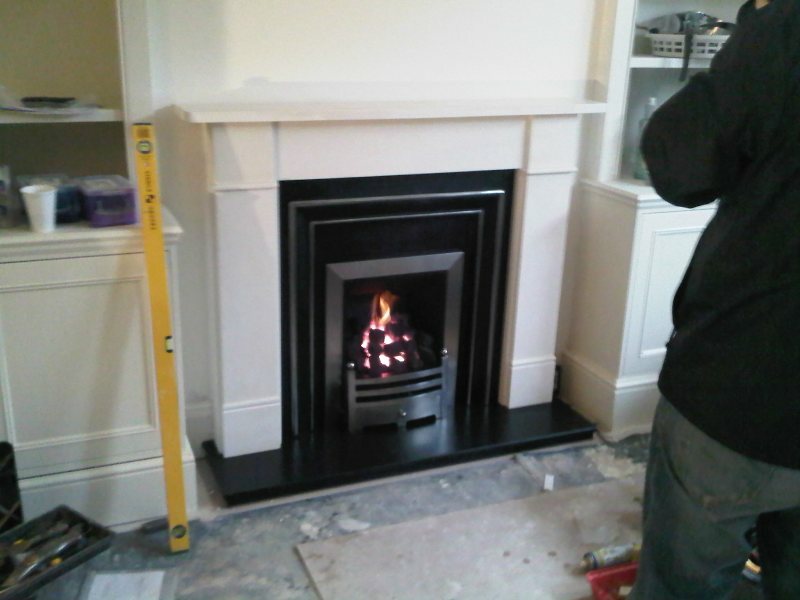 View another Flat Victorian fireplace installation carried out by The Billington Partnership.